Nielsen just released a report entitled “Brick by Brick: The State of the Shopping Center” – and the trends they outlined, at least on paper, seem to favor downtown environments. Mall owners are taking note of an opportunity that also suggests a potential opening for urban communities. Despite changes in shopping and the fact that more people are purchasing goods online, the good news is that consumers still spend most of their retail dollars at physical stores. 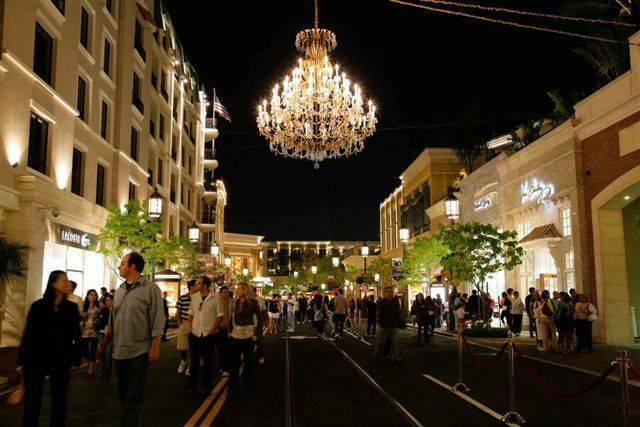 The report found that affluent shoppers continue to reject enclosed malls. Instead selecting “lifestyle centers” as places to shops. These are typically smaller specialty outdoor-oriented shopping centers that mimic downtown environments. According to Nielsen, “the line between shopping, entertainment, and community building has blurred.” People are looking for an experience – a place that not only offers shopping but also offers “more of an intimate neighborhood shopping experience.” That includes places to eat, things for the family to do and experience, all in addition to shopping. While this is generally good news, the challenge for “real” downtown and neighborhood shopping districts is that lifestyle centers are centrally owned and managed. These owners collect Common Area Maintenance (CAM) charges that tenants pay to maintain and improve the physical environment. Moreover, the tenant mix is carefully orchestrated and re-calibrated as needed by leasing professionals. These factors often allow lifestyle centers to out-compete their authentic downtown and neighborhood counterparts because as many of us know, getting downtown property owners to work together can be like herding cats! Welcome to the real illuminati online(greatbrothers).Are you an intern,politician,you are poor and confused? or you are into business,music,acting, comedy etc.and you need connection.join the great brothers today and acquire all your heart desires like:wealth,fame,connection,control,influence,good health and everything you will ever wish for in life,without sharing human blood. Joining this great club worldwide attract a lot of benefits which some are receiving $500.000(usd)immediately after confirmed member.secondly,you will be recieving $350.000(usd)monthly.Thirdly,you will be given an invitation to Usa,England Dubai and South Africa to meet with other members over there for proper introduction.After two months of been comfirmed a member, you will be visiting any country of your choice,every three months. No dirty game.Join us online today lets pilot you to your heart desires. If you are intrested reply:(greatbrothersilluminati@gmail.com)or contact +2348147279830.